Membership is just $45 for a full year of exciting PERKS and opportunities! Your membership is your passport to field trips, support group meetings and special events, community forums, discounts and so much MORE! Membership is open to all home educating families who are in agreement with the statement of purpose of this organization and who agree to abide by these guidelines. · Application for membership is made by submitting an online registration form and payment of annual dues via PayPal. · The term of the membership shall be for the period of one year on a calendar year basis. Member families will need to renew their membership on an annual basis. This may be done online. · Each member family shall constitute one vote. · Board meetings are open to visitors and take place monthly. · Members agree not to solicit business by mis-using the member directory. Members may advertise their businesses by taking out a paid advertisement, but they may not call or solicit business outside of this avenue. PPEA is not responsible for services advertised. Our goal is to have a page filled with opportunities to help you in your home education lifestyle. We do check references for tutors and testers. Please use your own discretion when considering using the service of a fellow member. We ask that you thoroughly investigate any services offered through our website before taking advantage of opportunities. If you have any concerns please contact us immediately. · Please note that the PPEA does take photographs and they will be used for promotional purposes. · Also note, that the PPEA is NOT RESPONSIBLE for any injury incurred while attending PPEA sponsored field trips. Parent/Guardian must be present and is fully responsible for his/her own children. Parents/Guardians will be asked to abide by the PPEA Field Trip Guidelines, which are given prior to sign-up and payment. There are support group meetings scheduled throughout the school year, located in various Pinellas County locations. The upcoming meeting time, date and topic will be published on the website & Facebook page. We would like to encourage our members to be at peace with other homeschoolers, both within our group and those from other groups. "Pursue peace with all men, and the sanctification without which no one will see the Lord." Hebrews 12:14 "and that you esteem them very highly in love because of their work. Live in peace with one another." 1 Thessalonians. 5:13. Since PPEA has no membership restriction of race, religion or personal homeschooling option, it is understood that many members hold specific religious convictions and/or educational philosophies or approaches. Because of this diversity, each member agrees to show tolerance and understanding when others' convictions may differ from their own personal views so that the unified purpose for the support group may be maintained. If there is an issue or situation that cannot be resolved or which is extremely uncomfortable for any member, please bring it to the attention of a Board Member, and the Board will take it into prayerful consideration to find a peaceful and satisfactory resolution. FPEA (Florida Parent Educators Association) is an organization, which exists to serve any and all homeschooling families in Florida. Although not specifically Christian, the FPEA seeks to serve homeschoolers throughout the state with a newsletter and statewide convention. Traditionally PPEA members receive a discount off FPEA membership cost. 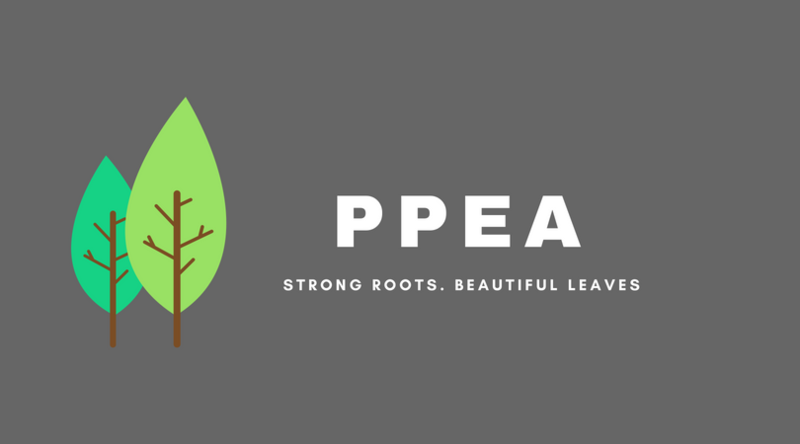 Membership in FPEA is handled strictly through FPEA and is independent of PPEA. HEF (Home Education Foundation) was founded by Craig & Brenda Dickenson in 1991 to raise support and direct lobbying for home education. HEF exists to safeguard current legislation and evaluate future legislation. Craig passed away in 1993, but his wife, Brenda has continued as a full time lobbyist for homeschoolers in this state, solely supported by contributions from homeschoolers across the state. Please consider going to their website to make a donation: www.flhef.org. The PPEA welcomes home educators of all faiths, yet all should understand that we are committed to biblical standards in meetings, correspondence and all PPEA sponsored events. All Board Members must sign a Statement of Faith before serving.